Rachel’s boss has been called away at the last minute, and after breaking up with her lover, Rachel has nothing better to do on Valentine’s Day than help him out by delivering the bad news to his girlfriend. She shows up on Sophia’s doorstep bearing gifts, only to find she’s been set up—with a temptress. Deciding to make the most of an awkward situation, the women agree to spend the evening together. After spraining her ankle at the gym, Rachel helps Sophia back to her apartment and administers first aid. Rachel’s gentle touch is driving Sophia crazy. When she asks the goddess to help her out of her workout clothes, she can hardly believe the come-on came from her mouth—and is stunned when Rachel takes her up on the offer. 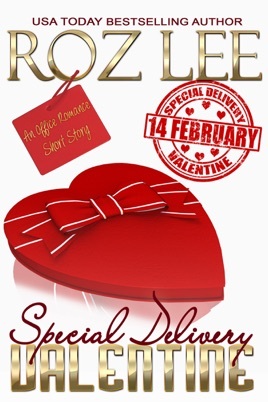 One thing leads to another, and soon she is in the arms of her very own Special Delivery Valentine.